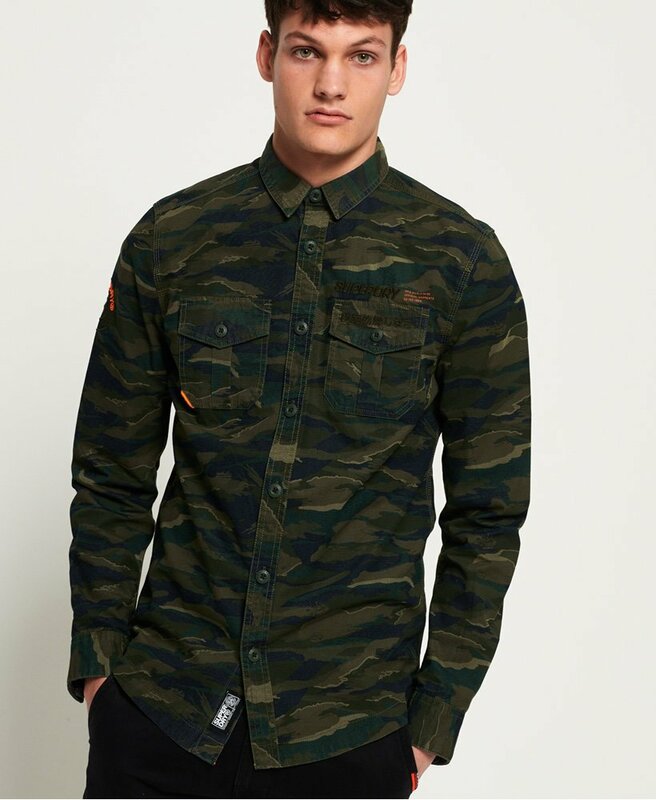 Superdry men's Rookie Paperweight Shirt. This long sleeved shirt features a classic button down fastening, two button fastened chest pockets and button fastened cuffs. Finished with an embroidered Superdry logo above the pocket and sleeve and an orange tab on one pocket.